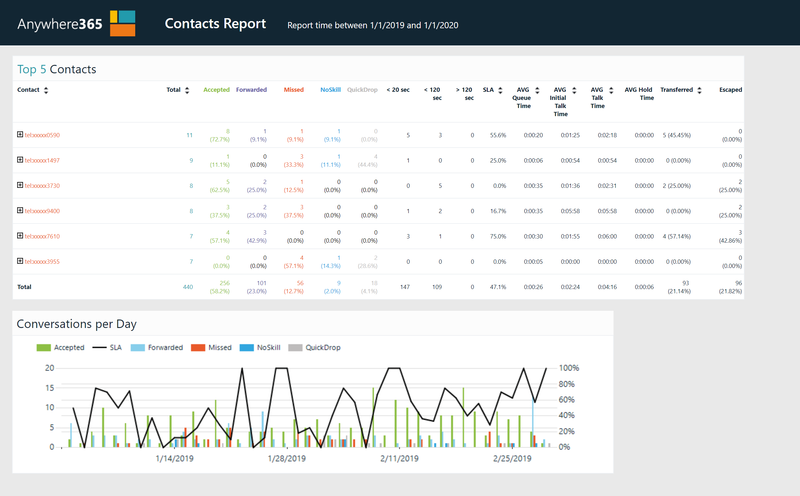 The “Calls Workload Overview” displays the number of Conversations per Caller and visually displays the workload the compared to the rest of the Conversations. Below the item is a chart which displays the Callers based on the number of Conversations and the length of the Conversations. Show information per selected group in the group parameter. The Skill Transferred Conversations item displayed the number of times a Conversations has been Skill transferred. A Skill transfer is when an Agent puts the Contact in a different Skill, for example using the Extension Window. Display the records in the selected Skill Changed.